Some dogs sleep while we’re away, others get up to all sorts of mischief during the day. Others panic with separation anxiety. To be honest, many of us love our dog cameras just because we love checking in on our dogs throughout the day. I joke that I’m the one with separation anxiety sometimes! But sometimes a dog camera has more serious uses – to monitor a dog with separation anxiety, to entertain a dog with destructive tendencies, or to ensure that the dogwalker actually comes by when they say they do. Today, you can buy the best dog camera to help you monitor your dog while you are away. This way, you can feel close to your pet even when you are on the go. Dog cameras are designed with incredible features that help you to interact with your dog in real time. Dog cameras are more than a regular webcam – that they can act as indoor home security cameras for your pets. Our favorite dog cameras also can give your dog treats. That’s an important aspect for training! 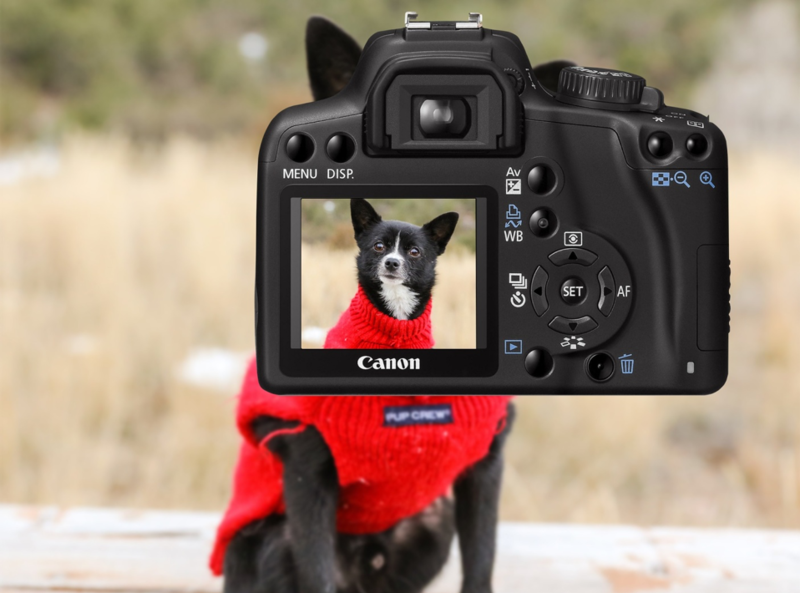 To make the selection process simple for you, we have pulled out the three best dog cameras with the best features and reviewed them as below. Be sure to leave your dog with something to chew on so he’s not tempted to sample socks or furniture! Furbo is our first and best treat-throwing dog-camera in our list. This camera comes with incredible features including a 1080p HD camera and you can also use it in low-light situations. You can read my personal review of the Furbo here. The Furbo works best with solid treats and tends to shoot out 10 or more per repetition. It can be slow based on WiFi connections. The Furbo will also text you if your dog is barking – but this feature can get annoying, as it will keep texting you while you’re home if you talk too loud! Overall, the Furbo dog camera is the best when it comes to image and video quality. You can monitor your dog even when in low light situations and you keep intermittently reward your dog for quiet, calm behavior with treats. Another best dog camera is the PetChatz camera. This camera provides you with a view of your home when you are away and also allows your dog to see you. The camera is equipped with a full-color LED display which is one of the most incredible features when it comes to dog cameras. Do you chat with friends on Facebook? Well, you can also talk and video chat with your furry friend using this camera. Another great feature is the treat dispenser which allows you to throw a treat to your dog while at the same time video chat with your dog. Also, the camera has sound and motion sensors so you can know when your dog is barking via notifications sent to you via your smartphone app, so you can calm him down. Moreover, the PetChatz has no sharp corners, no electric cords or edges so you rest assured your dog will not chew the camera. It is hard-wearing and will last longer. 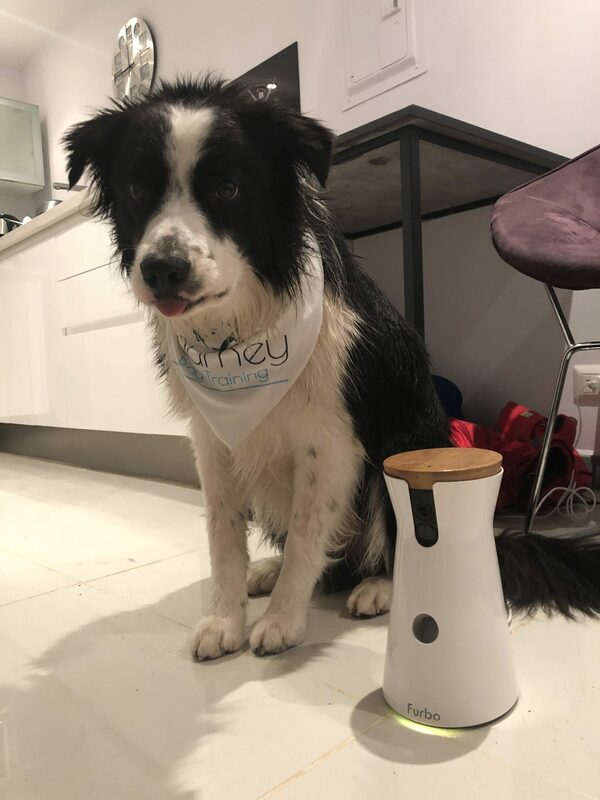 Overall, this dog camera comes to you in a sophisticated design and with incredible features, you cannot find on other types of cameras out there including a great video quality you can video-chat and talk to your dog from afar and more. With the Tenvis HD IP, you have a surveillance friend that assures you a high-quality camera that provides you clarity of images and videos you will love. This is a High-Definition surveillance camera that can make 360°complete coverage. The greatest thing about this camera is that it can capture and send you sharper videos of moving objects due to its high-tech optic lens. Its Automatic Night Vision that has 32ft/10m large range helps you to view your dog even when in a low-light situation up to 32 feet or 10 meters away. This camera, unlike others that can only record photos and videos of your dog while it is in front of the camera, it has a rotatable pan which can tilt to provide you with a 360-degree surveillance angle. So when you install it in the ceiling of your room, you can monitor your dog in the entire room. Summarizing, this camera is easy to install, comes with great features and is wireless. The incredibly wide range low-light vision provides sharper images and videos even at night. While all dog cameras are designed to help you monitor your dog, they come with their own bad and good sides. In this case, you need to choose one that will suit your needs and preference. You could pick any camera we have reviewed above provided it meets your needs. But remember, you need to research before you pick any dog camera on the market.